This Macbook Decal is perfect for any Lord of the Rings or Hobbit fans. 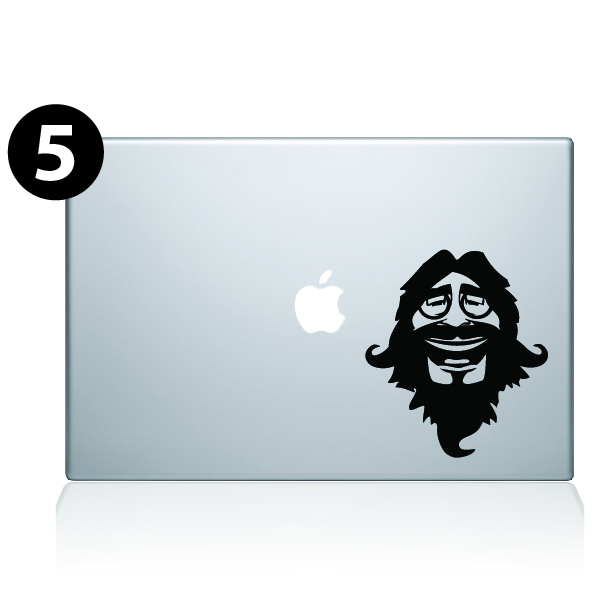 Get your favorite middle earth wizard on your macbook with this sticker and show it off to other fans. The lifetime of the vinyl is 3+ years indoors. The lifetime of the decal depends on how much it is touched or rubbed when placing it in a bag or case. 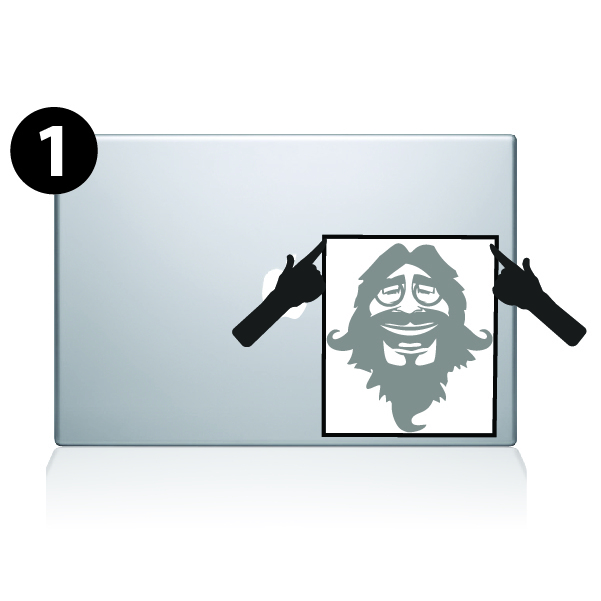 Decide where you want to apply the decal and hold it up to make sure it will look correct. Turn the decal face down and slowly remove the wax paper backing. 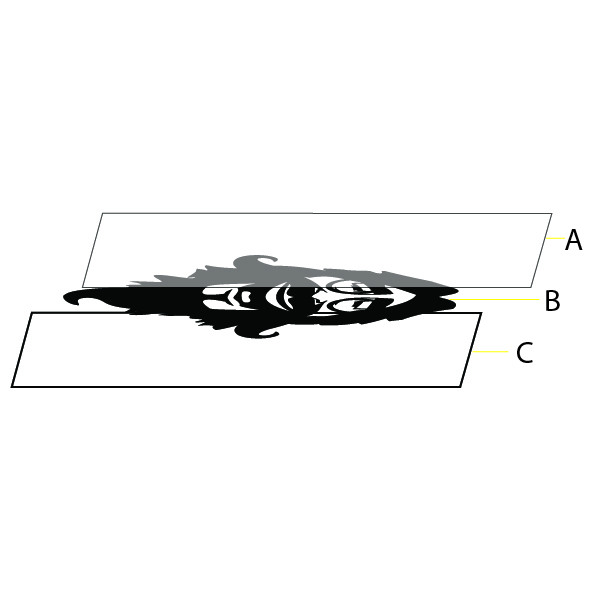 * make sure the decal remains stuck to the transfer tape. Carefully apply decal where desired. Smooth decal flat with hand or credit card. * Once applied decal is not reposition-able. Use a wet rag to moisten transfer tape. This will help transfer tape become less tacky and easier to remove. Slowly peel away transfer tape. Make sure the decal remains stuck to the Macbook. Enjoy your new decal and tell all the jealous admirers where you got it. Product has received many compliments so far, and I have sent everyone to check out your webpage. The only knock against it is that it was a bit difficult to line up accurately. Took a little trial and error, and I was a bit nervous that I had messed it up. After a lot of stress placing it in the perfect position, it looks incredible and I'm really pleased with it. However after about a week or so some of the finer points have started to peel and I can't stick it back down. Since the design is quite intricate (especially around the face) if this get's any worse it may ruin it, which would be a shame. Vraiment cool, j'ai désormais un portable à mon image ! very cool graphic - makes my laptop very personal.